Last 20th and 21th of November it has celebrated the 3rd edition of the Go Global Congress at Valencia. 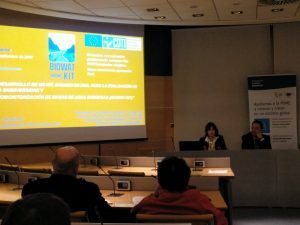 The congress has organized by Valencian Chambers of Commerce, international IVACE and ICEX Spain to achieve the internationalization in the Comunitat Valenciana. This giant event has meeting more than 1500 companies of many sectors like agro-food, engineering, building industry, technology, public health sector and more besides. The aim of this event is improve the internationalization of these companies. The congress was inaugurated by the vice-president of the Generalitat Valenciana Monica Oltra with Rafa Climent, a regional minister; both of them defended the capacity of Valencian companies to cross borders. Moreover, the congress included workshops, EUREKA workshop was an example where Oscar Gonzalez a NCP of EUROSTARS programme of CDTI, Korina Molla from AITEX and Raquel Gonzalez, responsible of the I+D+I area in Laboratorios Tecnológicos de Levante, talked about cooperation between partners around the world. 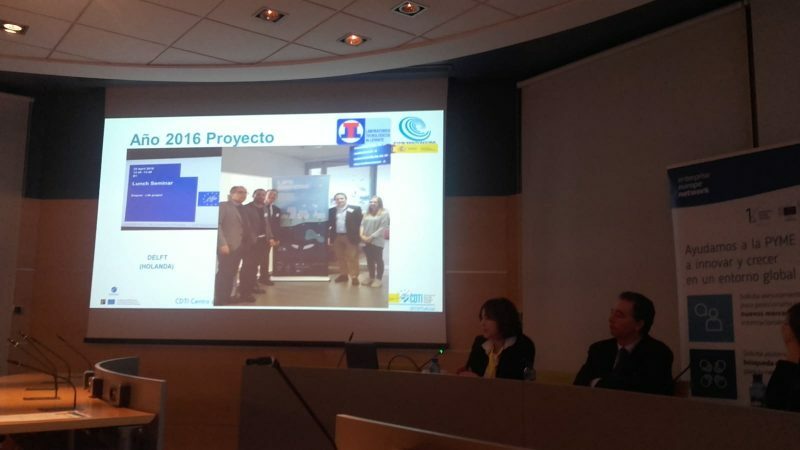 In this case, Raquel González explained how Laboratorios Tecnológicos de Levante, a small company, had achieve two successful projects with European partners: BIO-WAT (co-financed with EUROSTARS) and LIFE-EMPORE (a LIFE project). Also, Go Global congress has contained seminars about exportation and international commerce with important speakers from Google, Energy Systems and others experts. EMPORE (ref. LIFE15 ENV/ES/000598) is co-financied by LIFE+2015 Call, The LIFE Programme is the EU’s funding instrument for the environment and climate action. The project is due to last 36 months, with a total budget of 1.783.824€.